The event will portray the early war setbacks for the 17th Indian Infantry Division of the British Indian Army in Burma against the invading forces of the Japanese 15th Army. The scenario will be the withdrawal to the Sittang River and the ultimate destruction of the 46th Indian Infantry Brigade of the 17th IID. Burm is still the longest capaign and the longest fighting withrawal in the history of the British Army. 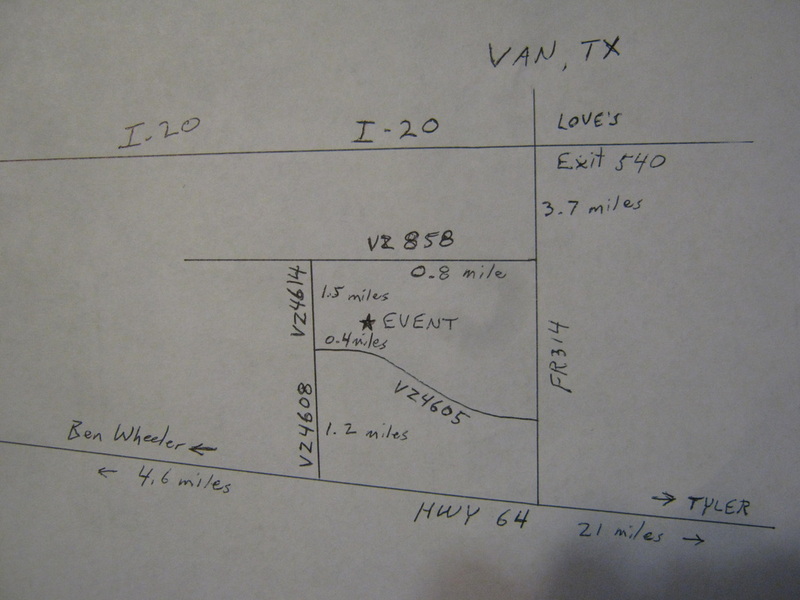 The scenarios will consist of a fighting withdrawal through the complex wooded terrain, water crossings and clearings on the west side of the event site on the map below. Several commonwealth strongpoints and roadblocks along with supply dumps and HQ positions will have to be outflanked and taken by the Japanese in their conquest of Burma on their way to India. Burma 1942 Location: Here is the physical address and the latitude/longitude coordinates. Use the physical address for BATF paperwork, BUT DO NOT USE IT to try to locate the property with GPS or Mapquest or Google maps, etc. IT WILL NOT SHOW YOU THE CORRECT LOCATION. Use the Latitude/Longitude, and type it into GPS or cut and paste it into a google search, and it will show you the correct location. Thanks! Registration will be by pre-registration on line. Click on the the "Add to Cart" paypal link to the right to register. Registration fee is $35.00 and includes insurance, donation to the property owner, and other costs of hosting the event and purchase of materials for further improving the site. Make sure you enter what unit you are with in the "Note to Seller" when making your paypal payment! Ensure you register for Burma 1942 and NOT Fight for Kazatin! Put a 1 in the box for Burma 1942 and a 0 in the box for Fight for Kazatin! The 17th Indian Infantry Division had been trained and equipped for operations in Iraq. Upon the invasion of Burma, General Sir Archibald Wavell, of North African fame sent the 17th IID to reinforce Rangoon. The 17th IID was made up of Indian Army and British Army units. British Army battalions in the division consisted of Anglo soldiers and officers, fighting alongside the Indian raised battalions. No insignia or patches were worn on uniforms in Burma until late in the war, so no insignia is required for this event for commonwealth impressions. If you have rank insignia on your KD/Aertex uniforms already for doing North Africa events, you can leave it on, as the 17th IID, already in India, but getting ready to leave for Iraq, did in the early part of the campaign. 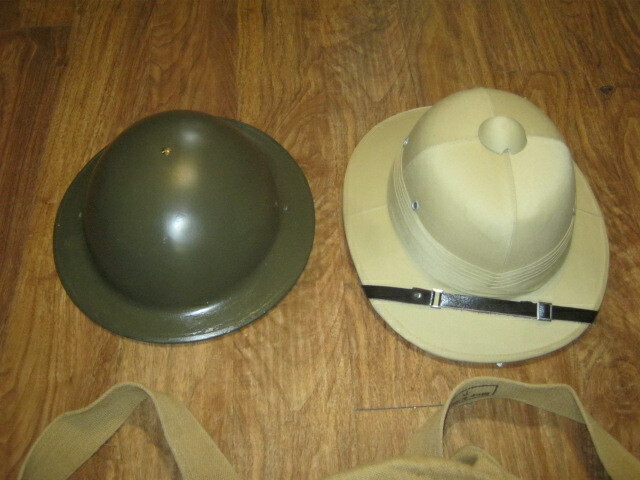 Mk II Helmet or Bombay Bowler with net. Any combination of P37 webbing with No. 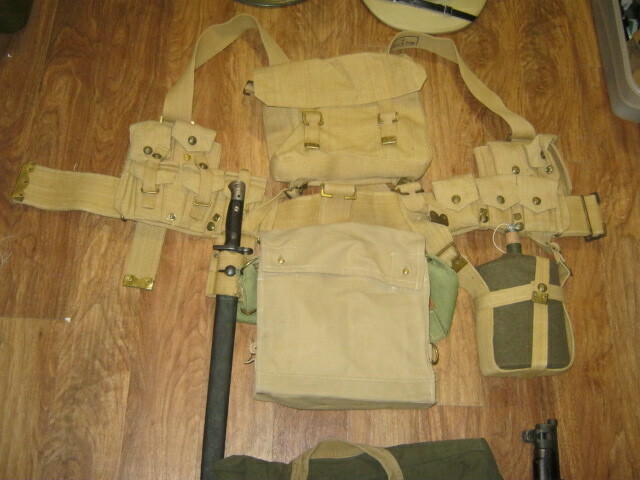 1 bayonet pattern 1907, small pack, skeleton water bottle carrier with water bottle, all in raw khaki, no OD or KG3. Universal pouches or 2-pocket cartridge carriers. Ammo boots or DMS boots. Any version of the Thompson submachinegun EXCEPT the M1. Enfield No. 1 Mk III rifle, Bren Mk 1, Any mark of Webley or Enfield revolvers. Sweaters, rain capes, field service caps and slouch hats are optional. THIS IS A GUIDELINE! Remember, Burma was a "forgotten theatre", literally and figuratively. Any combinations of the above kit are acceptable. 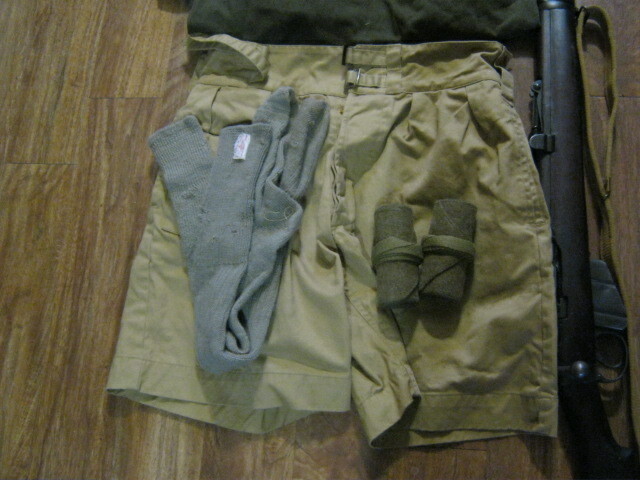 Here is one example of a typical uniform and set of gear for early Burma. 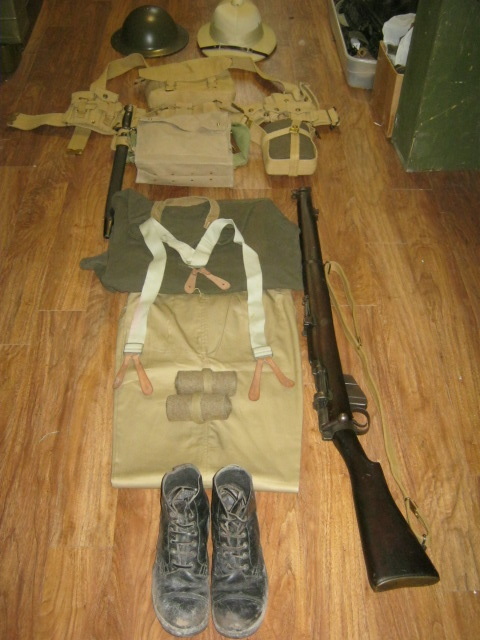 The left photo shows a complete kit consisting of KD trousers, grayback shirt, P-08 webbing and gear with Mk VII mask, with either a Mk. 2 helmet or Bombay Bowler. Weapon is Enfield No. 1 Mk.III, with 1907 bayonet and scabbard. 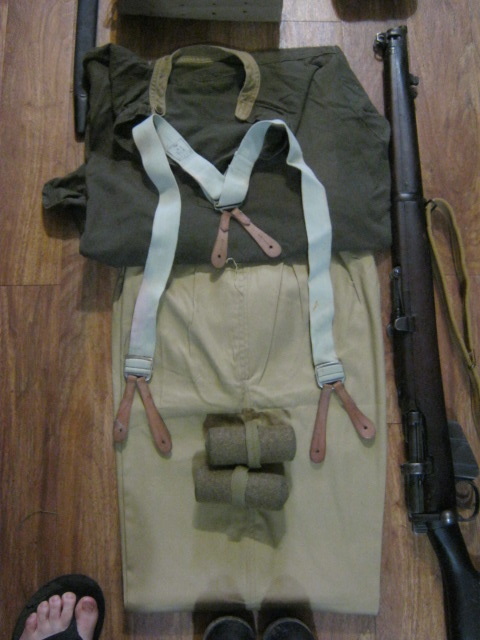 The right photo shows puttees, which would be worn with standard ammo boots. Below right shows KD trousers with hose as an alternate to KD trousers. Below are the Mk. 2 helmet or Bombay Bowler, either of which will keep your head safe from thrown grenades at the event. P-08 (shown lower left) or P-37 web are both good to go. 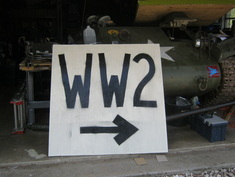 Site opens, participants arrive, registration and living history. 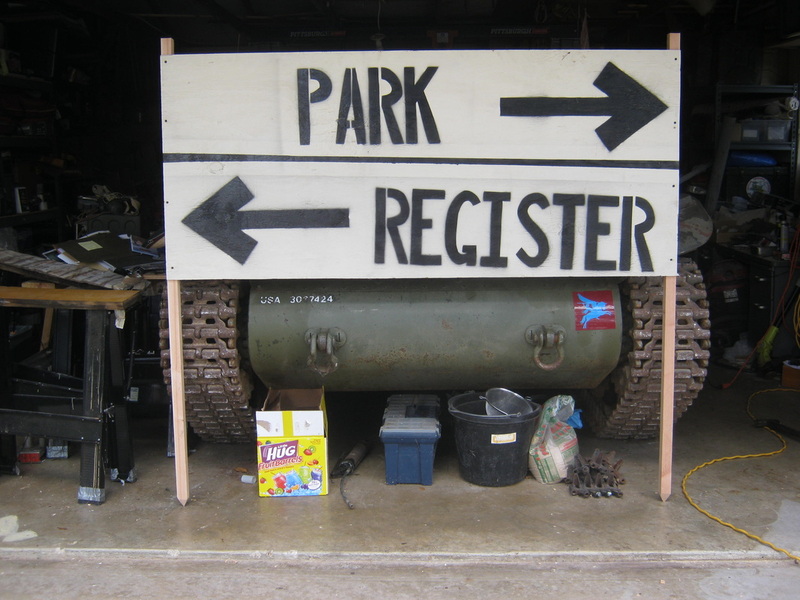 1800-200: Map reading classes, terrain association classes, and mortar gunnery classes conducted for all interested participants at the new barn. 1/500 scale model terrain board of the event site will be available for all training and briefings. 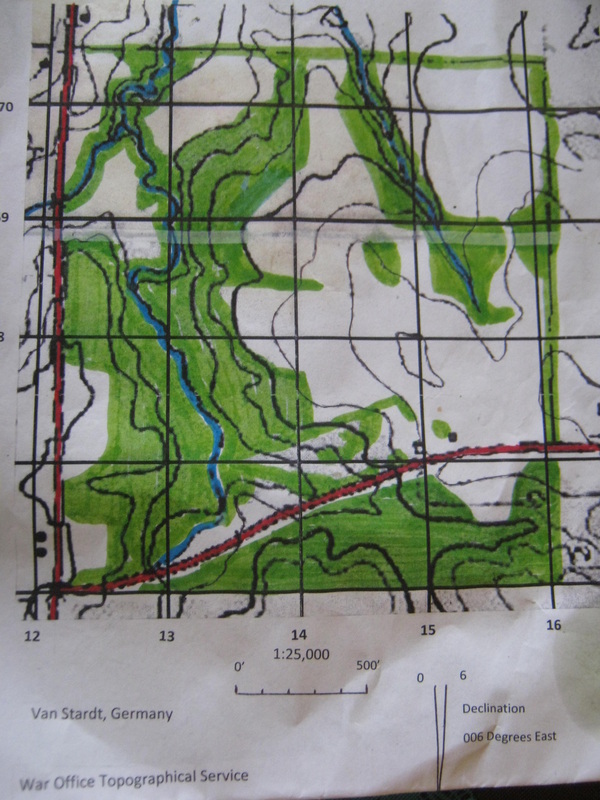 Black and white maps will be provided for training participants, color maps will be provided to all unit leaders and key personnel. Bring your own compasses! 2000-2100: Japanese orders group for all Japanese unit leaders. 2200-2400: Terrain board available for all unit commanders at to plan and coordinate, and brief their subordinates. Micro-armour and infantry will be available. 0630-0730: Breakfast (included with registration fee) for all participants at the British field kitchen. BE THERE AT 06:30!!! 1800-2300: Rangoon Cafe open. Southeast Asian drinks and snacks. Bring small bills!